“This is a unique opportunity to own a substantial property in the heart of fast growing Manukau ” says Tom Crawford Tourism Broker with Tourism Properties.com” The property is offered for sale for the first time in sixteen years and holds excellent forward bookings for this years rugby in September and October. 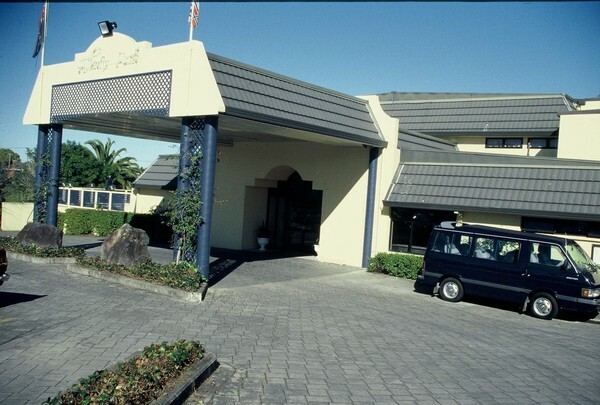 The Silver Oaks Inn Manukau, Auckland is an appealing 70 room hotel located only eight minutes from Auckland International & Domestic Airports and only fifteen minutes from central Auckland City. The property enjoys excellent business from the corporate market attracted by the five conference rooms, licensed bar and 70 seat restaurant. In addition provides an airport courtesy coach which generates considerable additional revenue. Built in a two story design the rooms are sunny and spacious. A private villa at the rear of the property is used as a very private additional conference centre. Crawford goes on to say “There is the opportunity to refurbish and rebrand the property to become a key hotel in fast growing Manukau and benefit from the new Southern China Airlines three services a week to Auckland from Guangzhou (Canton)”.